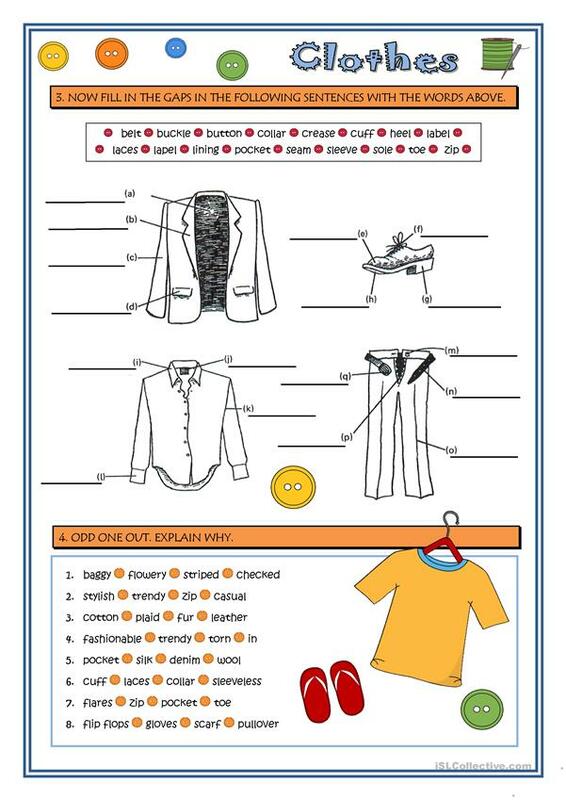 More words related to clothes: parts of them and also adjectives to describe clothes. The present downloadable worksheet is meant for high school students and adults at Pre-intermediate (A2) and Intermediate (B1) level. It is excellent for working on your groups' Speaking skills. It focuses on the theme of Clothes, fashion.